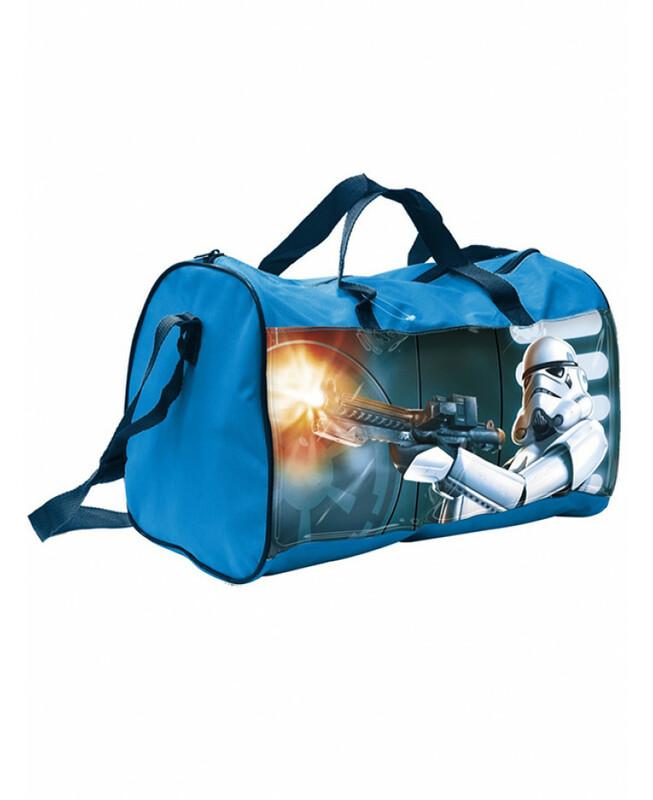 This great Star Wars sports bag is ideal for use at school, the gym, or for days out and nights away. It features an adjustable shoulder strap and has a large main zip closing compartment to keep all your items in. 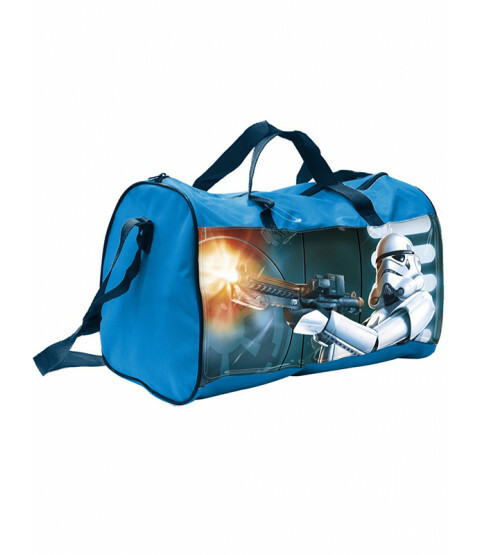 The blue bag features a printed section on one side with a great image of a Stormtrooper firing his blaster rifle on a dark blue background, perfect for Star Wars fans of all ages!